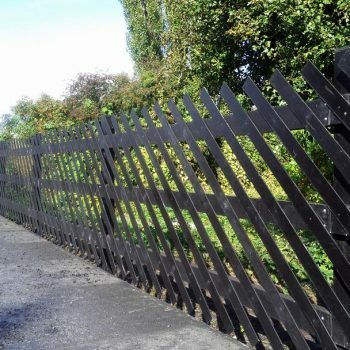 GRP gates, fences and grilles provide a safe, maintenance-free and cost-effective alternative to metal or wooden structures, they have a proven service track record in excess of over 50 years. 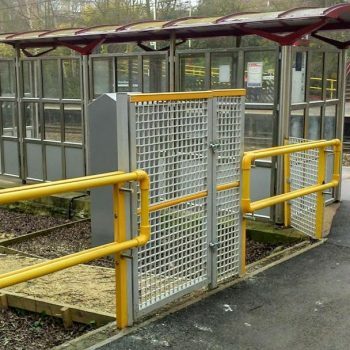 Gates, fences and grilles are assembled using either rivets or stainless/galvanised bolt systems and specialist industrial adhesives. Custom made reinforcement/joining brackets & plates may also be deployed. Typical fixtures to concrete substrates are achieved using expansion anchors (stainless/galvanised or zinc plated) or chemical anchors along with further plates & brackets. Suitable for industrial and commercial environments, Glass Reinforced Polymer (GRP) gates, fences and grilles provide a safe, maintenance-free and cost-effective alternative to metal or wooden structures. 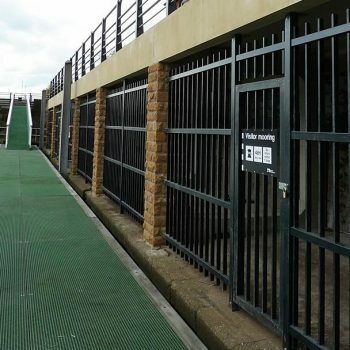 The comprehensive range of GRP profiles are perfectly suited to fabricate products for interior, exterior and aggressive environments where industrial chemicals or acid/salt air may quickly degrade other structures. Composite structures have displayed proven in-service performance for 40+ years. Structural components are available in steel grey or high visibility safety yellow, with green, black & other colours to order. They provide all the advantages of lightweight, high strength and durability, coupled with corrosion resistant, non-conductive, fire retardant and maintenance free life. Gates & fences provide worker, public safety and security in a wide variety of locations e.g. manufacturing, power generation, water treatment works, petrochemical facilities, marinas, railways, around machinery etc. The relatively light weight of the product makes transport, handling & installation far easier than metallic products. 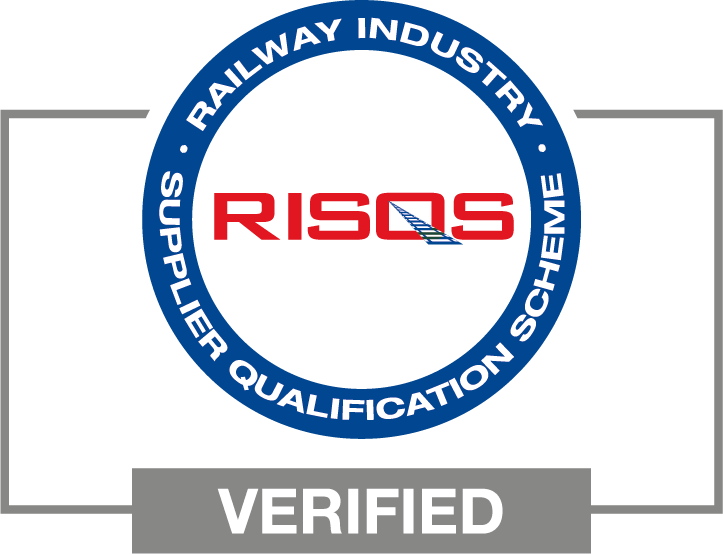 Structures may be fully or partially assembled prior to delivery for immediate installation, or fabricated in-situ using tungsten carbide tipped tooling and resealed using an approved resin top coat.